With Valentine's Day around the corner it's easy to panic, but we got you covered. In case "We're not doing presents!" turns into, "Actually I got you something as a surprise!" 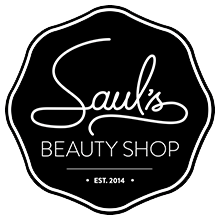 you can order a gift certificate for Saul's online and have it emailed to your special someone. If you purchase them a gift card for a service, it is like cash to us so should they pop in and decide they're rather buy beard product, some mom made knit goods and a wood wick soy wax candle instead, that's no prob to us! Check out our online gift cards here!